Re: What if there are werewolves? Actually, I did come up a little backstory while working on the those two. The first wolf kat, who is simply just called "Wolf Kat" by the terrified Megakat-citizens and his real name is unknown, is a bloodthirsty yet cunning beast who enjoys the thrill of the hunt and his only prize is to feast on his victims to quelch his own bloodlust. Long ago, he used to be part of an ancient werewolf clan hidden away from the kat society and served as the clan's mightiest hunter. However, his growing thirst for blood and his enjoyment in his ruthless hunting has made the elders worry that he has fallen to his predator instinct. But before they could decide what to do with him, Wolf Kat anticipated this as he made his escape from their hidden forest haven to the kat society where he can find more "lively" prey. He would eventually make it to Megakat City, where he plans to make it into his own personal hunting ground. The second wolf kat, who goes by the name "Crescent," is from the same clan as Wolf Kat. As the most efficient warrior of her clan, the elders had tasked her to hunt down her former clansman Wolf Kat and stop him with any means neceassary. She is very coolheaded and devoted to her mission of hunting down Wolf Kat but she won't shun away help from others, because she knows the benefits of hunting with a pack. She is also very knowledgeable regarding her clan's ancient history, particularly why her ancestors got cursed with lycanthropy in the first place. Oh, but of course! Please do. =D If you need anything from me, just PM me. Also I did one last thing with these two. 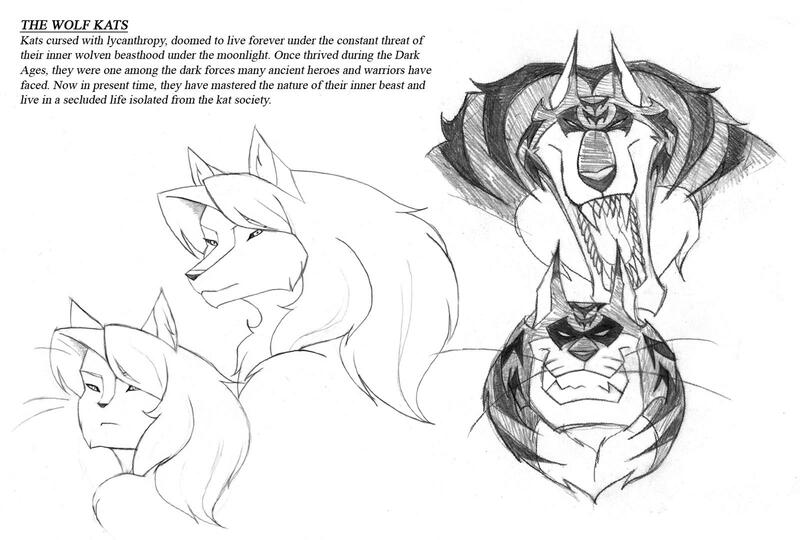 Took the liberty to refresh these sketches up a bit and throw in some backstory. Last edited by Krillos on Thu Apr 21, 2016 10:49 am, edited 1 time in total. I would really like to see the Swat kats having to face off against a werewolf/werekat villain, and having one of them get bitten and start turning into one too. 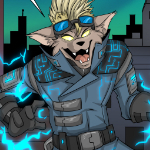 Cody Furlong wrote: I would really like to see the Swat kats having to face off against a werewolf/werekat villain, and having one of them get bitten and start turning into one too. The word "werekat" is not the correct term to use here and it doesn't make sense. It makes one think that a kat transform into kat yet again. It would be a totally crazy experience.